With its highly anticipated big "A" reveal, ABC Family's Pretty Little Liars notched near 2-year ratings highs among target demographics Adults 18-34 (1.4 million/2.0 rating), Women 18-34 (1.2 million/3.4 rating), Adults 18-49 (1.8 million/1.4 rating) and Women 18-49 (1.4 million/2.2 rating) and surged to 18-month highs in Total Viewers (3.1 million), Viewers 12-34 (2.1 million/2.2 rating) and Females 12-34 (1.8 million/3.8 rating) - since 8/27/13 and 3/18/14, respectively. In fact, the finale ranked as the series' #2 summer finale on record in the key 18-34 and 18-49 categories and #3 out of its 11 season finales to date. The Pretty Little Liars finale became the #1 most tweeted TV series telecast of Summer 2015 - and the #3 most tweeted cable TV series episode on record - amassing over 1.6 million tweets, accounting for 50% of all Twitter TV Tweet activity for the day. These over 1.6 million tweets were seen by a Twitter TV audience of 6.2 million unique users and generated over 68 million Twitter TV impressions. Moreover, the 12:00 - 8:00 p.m. favorite episode stunt leading into the finale accumulated a series record 4.5 million tweets, more than doubling its spring-finale marathon-day tally (2.2 million). Impressively, driven by the finale, Pretty Little Liars passed 3 million Twitter followers. 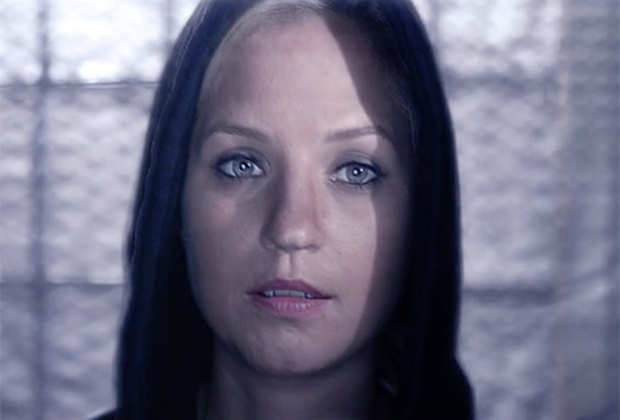 "Last night's Pretty Little Liars finale was a true Twitter triumph. ABC Family continues to innovate in how they encourage fan participation across social media, never content to let their social strategy stagnate. And it shows - the summer finale of 'Pretty Little Liars' shattered records by generating more tweets than ever, and not just during the episode itself. Before the finale even started yesterday, Pretty Little Liars fans had already posted more than two million tweets about the show, breaking previous all-day records. Pretty Little Liars still has one of, if not the most, active and engaged Twitter fandoms in existence." - Jenn Deering Davis, Editor-in-Chief, Union Metrics. · Pretty Little Liars is cable TV's #1 series of the Summer in Women 18-34 and Females 12-34 and is the #1 scripted cable TV series in Adults 18-34 and Viewers 12-34. · For the season (6/2/15-8/11/15), Pretty Little Liars ranked as TV's #1 series in the hour in Women 18-34 and Females 12-34, was the #1 scripted TV series in Adults 18-34, Adults 18-49, Women 18-49 and Viewers 12-34 and the #1 cable TV series in Total Viewers. · On a weekly basis, Pretty Little Liars ranked #1 in its hour for its 130th-consecutive original telecast in Females 12-34 - all telecasts since its June 2010 series launch - 82nd in Adults 18-34, 89th in Women 18-34 and 83rd in Viewers 12-34. · Summer finale 2015 versus 2014, Pretty Little Liars surged by double digits across the board, including by 35% in Total Viewers (3.1 million vs. 2.3 million), by 38% in Adults 18-49 (1.8 million vs. 1.3 million) and by 40% in Viewers 12-34 (2.1 million vs. 1.5 million). · Based on available full-week DVR viewing numbers, Pretty Little Liars spikes by nearly 1.2 million Total Viewers to 3.1 million (vs. 1.9 million) and adds over half-a-million key demo viewers to 1.4 million Adults 18-34 (vs. 786,000), to 1.9 million Adults 18-49 (vs. 1.1 million) and to 2.0 million Viewers 12-34 (vs. 1.2 million).